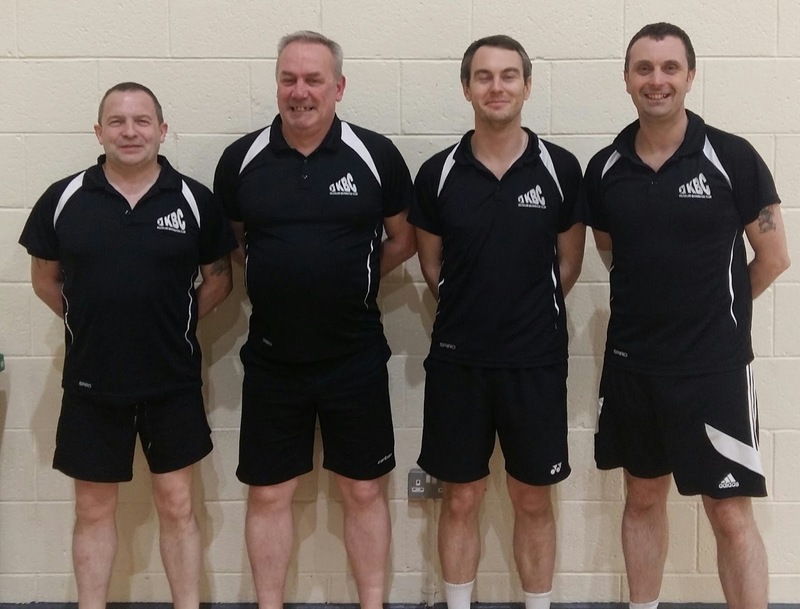 Four Dublin District League matches were played on Friday 31 March with two teams playing to ensure a Quarter Final spot in this week's knock out stage, writes Kilcullen Badminton Club PRO Enda O'Neill. John Mullen's merry men were looking to be the first Division 5 Mens team to make the knock out stages of the league when they visited Smash in Belgard Road. Johns team needed at least a draw to guarantee a place in the quarters, in the previous two meetings between the two clubs, Smash had knocked the Kilcullen men out of the Dublin Cup and also had nicked a draw in Kilcullen in the league fixture the week before. This was never going to be an easy match as Smash also would qualify from the group stages if they beat Kilcullen. 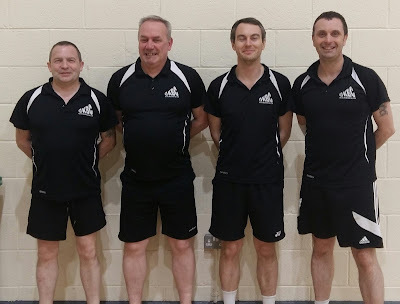 It didn’t get off to a good start when John and Ray Dalton lost their mens game in two sets, it got worse for the KBC men when Vincent Coller and Enda O’Neill lost their mens game in a great three-setter. Smash decided to play both third and fourth mens at the same time on their two center courts and it was here the KBC men dug deep with Vincent and Ray winning their game in three sets and John and Enda also winning in three sets coming back from 19-16 down to win 23-21. The end result 2-2 with the Kilcullen lads progressing to the knock out stages. Well done John, Ray, Vincent and Enda and good luck in the Quarter Finals in Baldoyle on 6 April againist Eire Friends. Debbie Mangan's Division 3 Mix team were also fighting for a Quarter Final spot when they hosted St Brigids. In this important fixture Debbie's team also needed a draw to progress and they didn’t disappoint when they got the needed draw. Debbie and her team go into the knockout stages undefeated and face tough opposition when they face Carlow Ym who topped their section in the league. Good luck to Debbie, Sinead Kelly, Murt Dunne and David Jackson on Wednesday 5 April. Martin Carrigan and the Division 4 Men had an uphill battle to make it to the Quarter Finals, Martin and the lads had 10 points from their five match campaign, and were playing second place Roundwood who had 12 points from the same amount of matches. Basically Kilcullen needed a 3-1 or 4-0 win to progress. Unfortunately the KBC quartet couldn’t use the home fixture to their advantage and were beaten by a good St. Brigid's team 4-0. St Brigid's progress to the quarters, the KBC men finishing third. It has been a hard season for the lads who were put in probably the best section in the division. Hard luck to captain Martin and his team mates Mick Cass, Owen Wallace and Barry “swedey eyes” O’Neill. Our Division 2 Ladies captained by Sinead Kelly are the first team to make it to a League Final this year. In this small division Sinead's team finished second in the group which automatically qualifies them for the Division 2 League Final. KBC’s Ragettes insured their place in the final when they drew 2-2 with Kadka who needed a win to knock our ladies out. The Kilcullen Ladies however have again shown their class and their calmness under pressure. They now face table toppers Old Bawn in the final which will be held at the end of April. Can our Division 2 Ladies Cup Champions take home the League title as well? Good luck to Sinead, Lynsey Walsh, Gillian K Smith and Debbie Mangan in their final. Congratulations goes out to our Grade 1 Mix team captained by Lynsey Walsh are the first club to make it to a Grade 1 Southwest Knockout Cup. The gang will face Johnswell of Kilkenny and the club would like to wish Lynsey and her team the best of luck in their final. Go on The Rags and Ragettes! Good luck to all the Kilcullen teams this week in their matches. Pictured are Ray Dalton, John Mullen, Vincent Coller and Enda O'Neill, Division 5 Men Quarter Finalists.